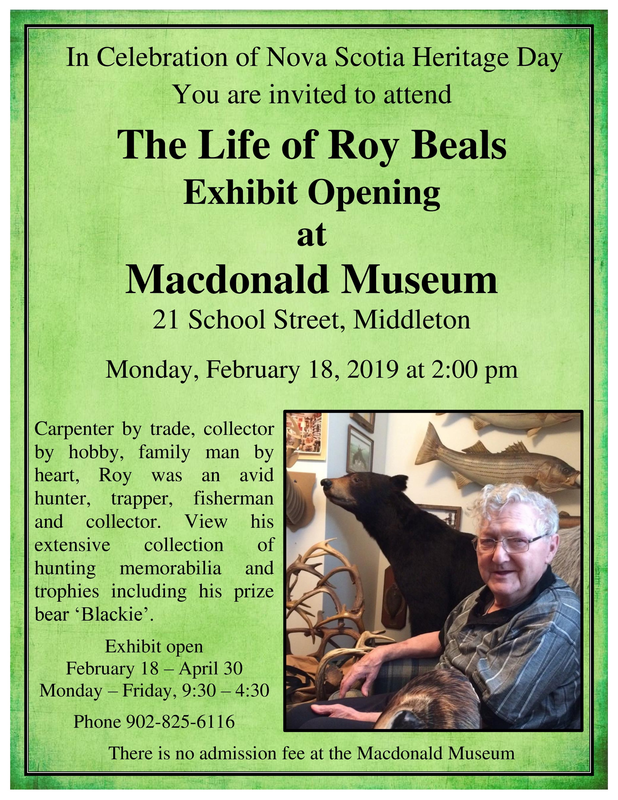 The life of Roy Beals: Carpenter by trade, collector by hobby, family man by heart. An avid hunter, trapper, fisherman and well known fire arms collector who set records for his prized wild game hunts, Roy was the first Canadian to hunt and harvest a wild boar in Nova Scotia. 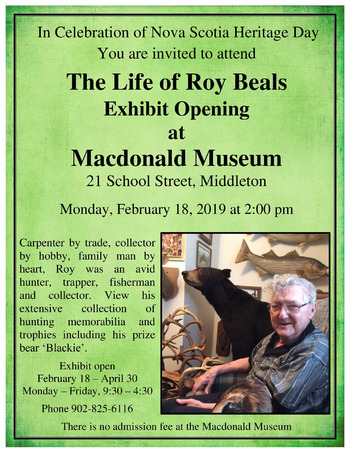 The boar, along with Roy's prize 'Blackie' - one of the largest black bears on record in Nova Scotia - will be part of a large display honoring Roy's life. All are welcome to attend, meet his family and celebrate his life. Roy is not of good health these days, but will attend if he is able. Exhibit open until April 30, 2019.